Every mobile user irritates to remove viruses from Smartphone set. The, again and again, come back to these viruses hamper the mobile set and killing the times of users. The best tips I would like to share here to remove the virus and clean up the mobile with the help of Google App. 360 Securities App is a good and safe option to on your battery saving mode as well as helpful to delete flows of cash item of your mobile phone. This App is working fine and the number of people is using worldwide. Before using this App you have to check your Smartphone speed and RAM capacity to avoid any crash, phone hang etc and use 360 security free download. The App will help to remove the virus and clean up your mobile instantly. 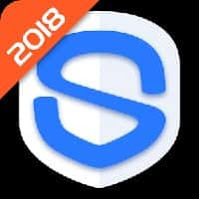 You can guess about the popularity of “360 Security App” that near about 20 crore people have been downloaded worldwide to save his Smartphone or Mobile from viruses or clean up malware. The decent feature of this App is to close the all running background App intently and speed up your mobile phone. Another feature is to stop unimportant processing system on your Smartphone if the battery is low and does not support to run all the processing system on your phone. This is big support for Smartphone users. App acquires antivirus support to save the Smartphone function. This App is available on Google Play Store and got the rating 4.6. Anyone can download this App directly from Google Play. They have to type 360 Security – Antivirus Boost in Google search to get the direct site details. What To Do, If Google Play Store Crash During Apps Downloading. It has been seen several times that Google Play Store crash during downloading the Apps for your phone or flash error code. You can update the Google Play Store. Just go to play store, click on setting option and choose Build Version. You have to click on it to know about the play store update. When you get the option “Update Play Store”. Click here for updating. If play store crash after updating. Integrate Google account of the phone. Go with phone setting and press on Google Account option, just click on it and press on remove account option. Now switch off your phone and start again integration process. This malware infected a large number of mobile and Smartphone users’. This affect users’ entire phone, when start to download it. As per a report, 1 million users have been affected worldwide. Hackers access your information like contact, passwords etc. Kemoge Malware also provides access to hackers to control your computer or mobile through remote, subscribe to chargeable services, placing distance calls and sending the message without taking your consent. That is harmful to computer and users both. Use 360 security for PC and Smartphone protection, install apps from trusted official apps store like Google Apps Store. Avoid clicking any suspicious image, text URL and messages. Always check the upgrade of your computer and mobile operating system. Now install an application like 360 Internet Security Antivirus to protect, detect and block this type of malicious malware instantly. In nutshell, you will get three benefits after installation of this software. All times protection with real effort- updated cloud and antivirus database protect from viruses, Trojans, and malware. Fast your Smartphone and boost the speed intelligently by manage memory of the phone. Clean your device smartly, 360 Security antiviruses uninstall software and detect unwanted APKs in just on tap to save money and time of Smartphone users.